My Kombucha Mango Smoothie was born out of my serious love for Kombucha. I became a kombucha lover many years ago when I learned to make this precarious beverage. Remembering back to the very first time I tasted Kombucha, there was a series of opposing emotions that ran through my mind. At first there was a distinct feeling of absolute disdain but after a few more sips, it began to grow on me. I think it was shortly after I finished the bottle that I decided I was a fan. Kombucha is an ancient beverage with a long history originating over 2,000 years ago in the far east. Its been for consumed for centuries as a natural healer for countless ailments. Even today, Kombucha is considered to be an excellent option for detoxifying the body, aiding in digestion, and boosting the immune system. But my biggest motivation for drinking this effervescent goodness, besides the taste, is the benefits it offers in gut health. One of my favorite ways to use kombucha is as a base for smoothies. Its a refreshing take on what can otherwise be known as a boring everyday smoothie rut that us smoothie makes can fall into. If you’ve ever wanted to try your hand at making your own Kombucha you can find my recipe with easy directions here. Kombucha isn’t just for drinking! 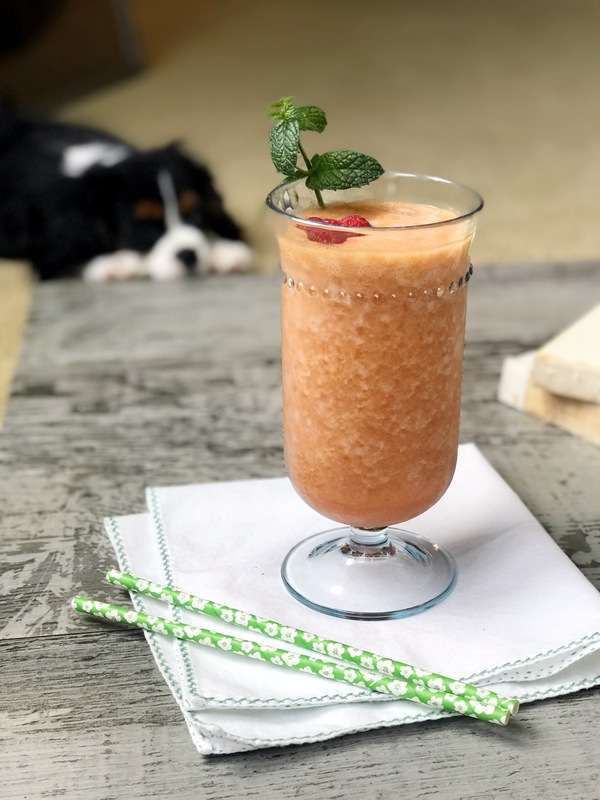 There is a long list of delicious recipes you can make with Kombucha and here are two of my favorites. Kombucha Mushrooms, and Kombucha Dreamsicles. <– Oh yeah! 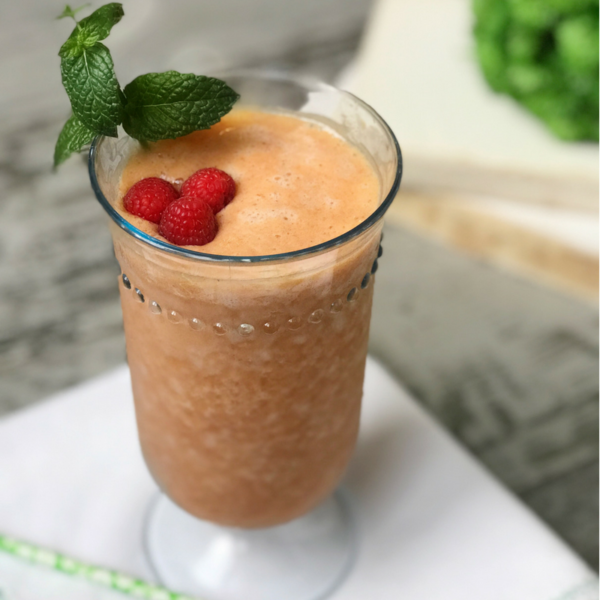 The perfect health-packed fruit smoothie with a kick of kombucha zing. Enjoy it as a morning smoothie or a refreshing mid-day snack. Process all ingredients on high until well blended. 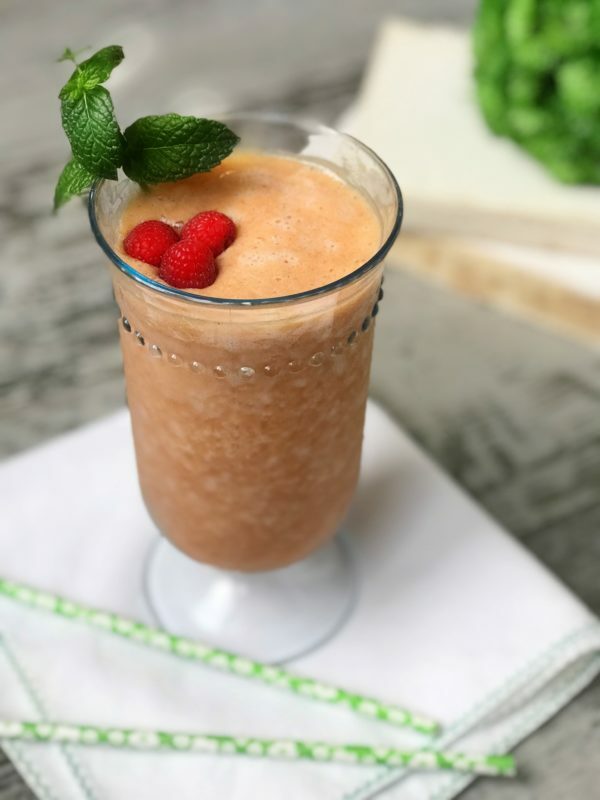 This smoothie recipe is very versatile. Use your favorite flavor of Kombucha to create your very own smoothie just the way you like it.